I'd like to point out that the new community can't count. My total replies were 198 this morning when I signed in. After leaving 4 replies, my count was only 201. Now, I'm no math expert, but last I checked 198+4=202. This makes me wonder, what else is this software missing? FYI, I did wait 15 minutes before posting this because reply 201 seemed to take a few minutes to register. However, it registered after less than 5 minutes. before Save = upper case G. G changes to g with Save = issue with [ ] = need to add spaces [ G ] to preserve case. Unfortunately @bjm_, reading mode tends to not maximize to the screen width. This could be the browsers built in reader mode or an extension added to a browser. 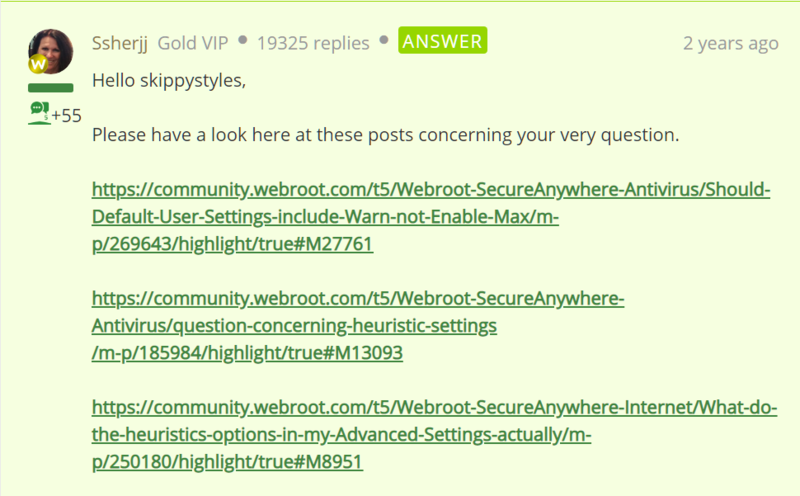 My read is easier with centered content...although, I'd prefer Webroot Community platform maximize page width. Unfortunately @bjm_, reading mode tends to not maximize to the screen width. This could be the browsers built in reader mode or an extension added to a browser. I've seen this with the built-in versions of Firefox, Chrome, and Safari. I've also seen it with add-ons like Pocket, Evernote, and OneNote. Some of these have ways to reform to the max width, but it tends to screw up the HTML/CSS code. This is why they tend to display at the width they are on the original page. This is just my personal experience, you or others may have had better luck. Need to use browser extension to center page content. My read is easier with centered content...although, I'd prefer maximizing page width. Too bad portrait view cannot be changed to landscape view with Related Topics under Topic to maximize page width. My screen is wider than taller. it wasn't only the money. But the lack of security because of a technical mistake. I guess i have to save up for a new card? This isn't the first time i'VE had this problem. I Agree with Nic, I wondered why things got so quiet. I guess that is the price of new. Another issue I've found is a complete disconnect of my new profile from the threads that I was attached to previously. Threads I started or even replied to, I'm no longer subscribed too. I'll admit, I wasn't the most active user, but I was connected to some threads. A few of which were important to know if anyone responded. Since I am no longer subscribed to them, I will never receive any notification when someone posts a reply. I have resubscribed to a few that I could find, but I don't know all that I was attached to over the last 4 years. Can this be fixed? Just in case that wasn't a joke, here's an article about it. It's best that you did, considering the other is a security risk. I'd hate for you to get hacked. Wait, what? Get hacked where? Did I miss a meeting? Looks like you're a Community Guide currently, is that what you're seeing as well? I'll have news on the Beta forum hopefully today. Yep. pay no attention to me, I confused the two boards. @MajorHavoc's idea of timing and combining alerts is also a good idea. I'll +1 that. Side note, I find it funny that we're using terminology that was started by a social network that is getting ready to be killed. RIP Google+. A little IT humor for hump day.